Anthony Rubio Designs Featured on Instagram. 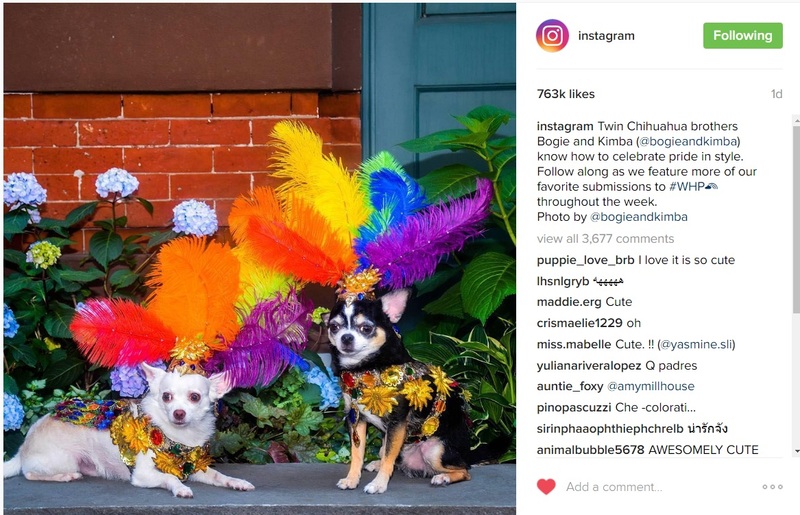 Yesterday, I received an email from Instagram saying they wanted to feature the picture of Bogie and Kimba wearing the designs I created for the Pride Parade on their official account. 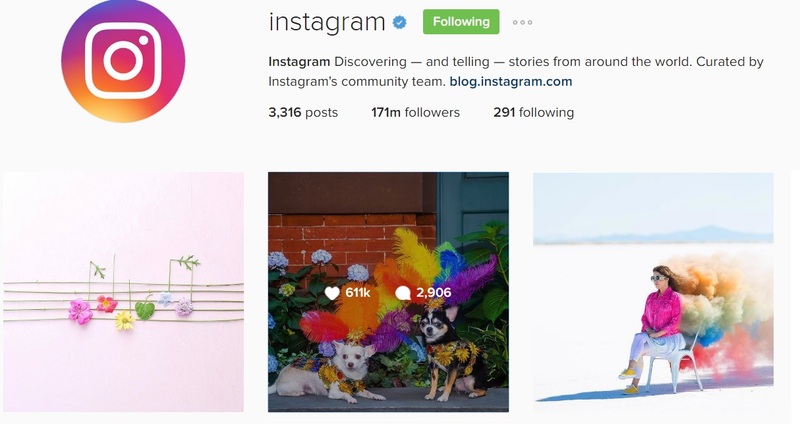 Instagram has 171 Million followers. The photo was posted today and so far has 763,000+ likes and 3,690 comments. Today happens to be National Social Media Day. What a way to celebrate. I created Bogie and Kimba’s page 6 months ago.